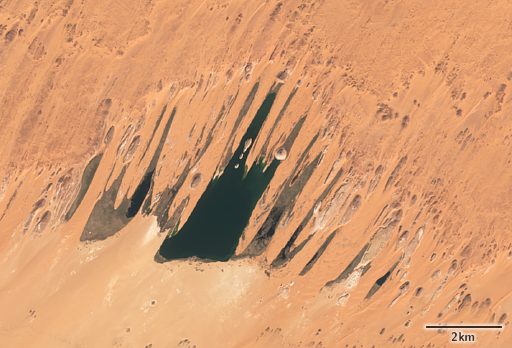 The Lakes of Ounianga are a unique and fairly remarkable feature of the Sahara desert. In the middle of the otherwise extremely dry desert of North-Eastern Chad there are a handful of lakes which are fed by fossile groundwater. 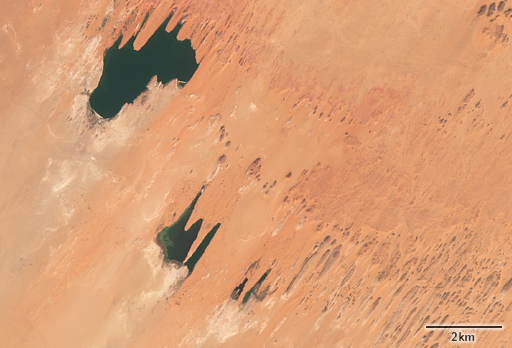 The two groups of lakes can be seen in this Sentinel-2 image from February. 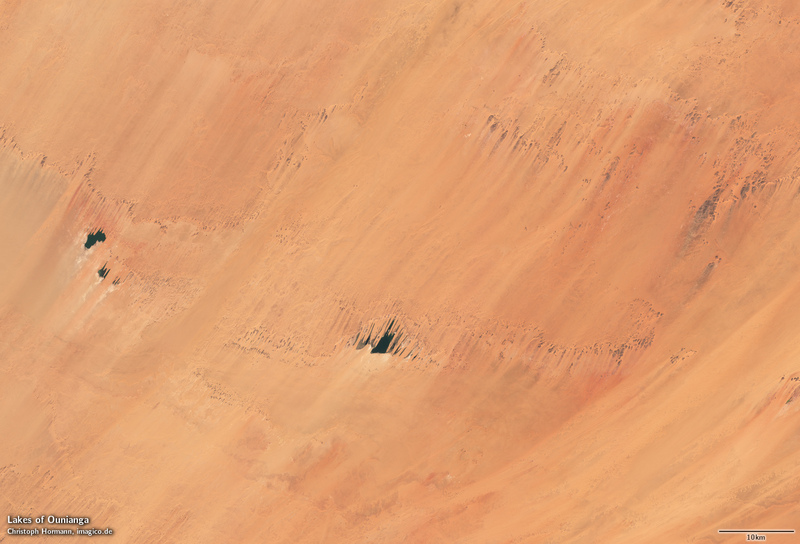 The lakes’ forms are shaped by the prevailing winds coming from the northeast and the resulting sand drift. On the surface of many of the lakes layers of floating plants reduce evaporation and thereby help maintaining the lakes. But since the groundwater feeding the lakes is not replenished in today’s dry climate and the same groundwater is quite excessively used for irrigation throughout the Sahara it is unclear how long these lakes will still exist. 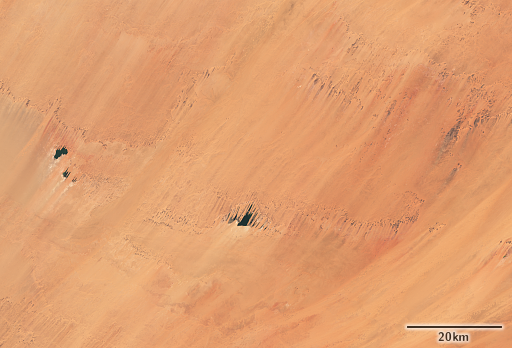 Satellite images are based on Copernicus Sentinel data from 2016. A full size version is available on services.imagico.de.